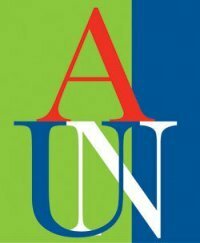 American University of Nigeria, AUN scholarship winners for 2017 have been announced. In the result of the AUN scholarship exam, the list winners of the 2017 Scholarship Awards were published for the Fall 2017 academic session. The Scholarship is being categorized – The 100% scholarship (for full session and a single semester) and the 50% for a semester. The scholarships were done Nationally, Regionally and also state wise. The list of winners in each state of the Federation can be found below. The List of successful candidates from the 2016 American University Scholarship has been released. The list contains the name of candidates, their sate of origin and the award given, whether it is 100% or 50%. The winners must contact the Scholarships Office at 08056048697 and/or send a message to scholarships@aun.edu.ng by to confirm the acceptance of their award(s).